The Science of Cognitive Behavioral Therapy describes the scientific approach of CBT, reviews the efficacy and validity of the CBT model, and exemplifies important differences and commonalities of CBT approaches. The overarching principle of CBT interventions is that cognitions causally influence emotional experiences and behaviors. 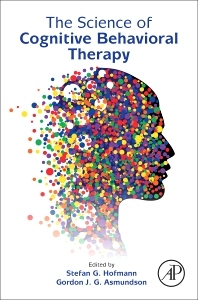 The book reviews recent mediation studies, experimental studies, and neuroimaging studies in affective neuroscience that support the basic model of CBT, as well as those that clarify the mechanisms of treatment change. Additionally, the book explains the interplay of cognition and emotion in CBT, specifies the treatment goals of CBT, discusses the relationship of cognitive models with medical models and associated diagnostic systems, and provides concrete illustrations of important general and disorder-specific considerations of CBT. Gordon J. G. Asmundson, Ph.D. is an international expert on psychopathology and its overlap with chronic health conditions. He is a Registered Doctoral Psychologist and Professor of Psychology at the University of Regina. He was born in Zweibrucken Germany on a Canadian Air Force Base and was raised in Canada where he received his BA, MA, and doctorate in Psychology from the University of Manitoba. In 2005-2006 he trained as a Beck Scholar at the Beck Institute for Cognitive Therapy and Research in Philadelphia. He holds several editorial posts, including Editor-in-Chief of the Journal of Anxiety Disorders AND DEVELOPMENT EDITOR OF CLINICAL PSYCHOLOGY REVIEW , and serves on the editorial boards for nine other journals. His research and clinical interests are in assessment and basic mechanisms of fear, the anxiety and related disorders, and chronic pain, and the association of these with each other, maladaptive coping, and disability. His pioneering work on fear and avoidance in chronic pain and his shared vulnerability model of co-occurring PTSD and chronic pain have led to significant advances in understanding and treating these prevalent, disabling, and costly conditions. His empirical work on PTSD and other anxiety-related conditions has also influenced changes in the most recent edition of the Diagnostic and Statistical Manual of Mental Disorders. Dr. Asmundson has published over 325 peer-reviewed journal articles, 70 book chapters, and 8 books. He is a Fellow of the Association for Behavioral and Cognitive Therapies and of the Canadian Psychological Association. In addition to numerous prestigious awards received over the course of his career, in 2009 Dr. Asmundson received the highest accolade available to scientists and scholars in Canada – induction as a Fellow of the Royal Society of Canada – and in 2014 received the Canadian Psychological Association Donald O. Hebb Award for outstanding contributions to the science of psychology. Dr. Asmundson is married and has two children.